this past week my hubby took me on a great vacation to aruba. if you keep up with my instagram or twitter you would have seen some of the beautiful sights from our stay. i will be putting up two posts this week with some gorgeous views. stay tuned for part 2 from aruba. Love the color combo of this outfit! Great look! Ok, I looved the outfit! Great outfit! And wrong shoes for this uneven ground ;-). 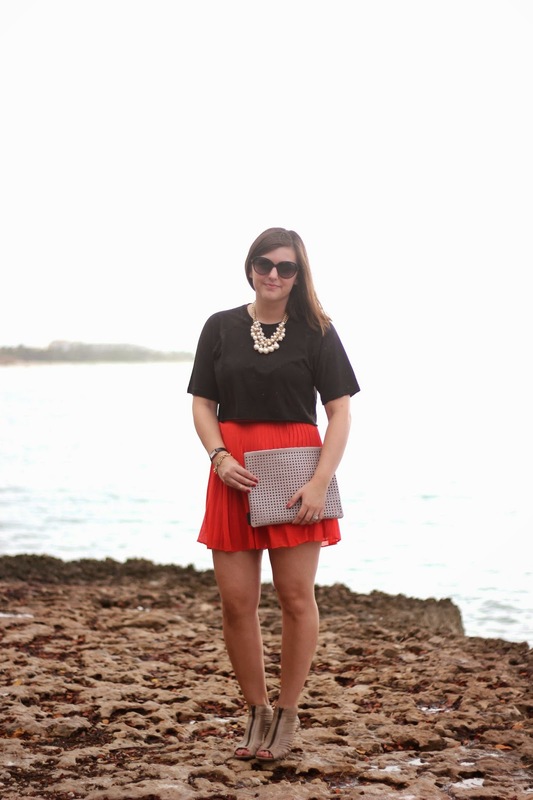 SOO in love with your outfit, that skirt is adorable, and can't wait for some amazing Aruba photos.